Eli Filip Heckscher (November 24, 1879 - December 23, 1952) was a Swedish political economist and economic historian. He wrote a classic book on mercantilism, as well as several contributions to economic theory. In a famous article of 1919, he argued for free trade, putting forward the hypothesis that the comparative trading advantage of different countries is due to differences in productive factors. This idea was expanded upon by his pupil, economist Bertil Ohlin, and is now known as the Heckscher–Ohlin theory. Heckscher's work and political outlook, although considered leftist by many, was in fact based on the conviction that an economic system based on individual property rights and competition would foster the greatest growth. The Heckscher-Ohlin theory indicates that in international trade countries naturally act to maximize their resources, as do individuals, assuming that the actions of exchanging goods and services occur smoothly. Through such harmonious give and take actions, Heckscher envisioned sustained economic growth and consequently prosperity develops for all. However, Heckscher, like many economists, did not fully understand the problem of selfishness in human nature which has to date prevented the emergence of a world of peace and prosperity. Eli Heckscher was born on November 24, 1879, in Stockholm into a prominent Jewish family, son of the Danish-born businessman Isidor Heckscher and his spouse, Rosa Meyer. He completed his secondary education there in 1897. Heckscher studied at the university in Uppsala under David Davidson and was subsequently a docent under Cassel at Stockholm and Gothenburg, completing his Ph.D. in Uppsala, in 1907. He was professor of Political economy and Statistics at the Stockholm School of Economics from 1909 until 1929. When he exchanged that chair for a research professorship in economic history, he became founder and director of the Stockholm Institute for Economic History, finally retiring as emeritus professor in 1945. In fact, he established economic history as an independent academic discipline in Sweden. According to a bibliography published in 1950, Heckscher had as of the previous year published 1148 books and articles, among which may be mentioned his study of Mercantilism, translated into several languages, and a monumental economic history of Sweden in several volumes. Although Heckscher is now chiefly remembered as an economic historian, he also made several contributions to economic theory, including the concept of commodity points, which limits the fluctuation of inconvertible paper currencies (Heckscher, 1919). Heckscher is best known for a model explaining patterns in international trade that he developed with Bertil Ohlin. As Heckscher died on November 26, 1952, in Stockholm, he could not be given a posthumous Nobel Prize for his work on the Heckscher-Ohlin Theory. Instead, Bertil Ohlin was awarded the Nobel Prize in 1977 (together with British economist James E. Meade) for his contribution to the theory of international trade, based on the work he did with Heckscher. Eli Heckscher's son was Gunnar Heckscher (1909-1987), political scientist and leader of what later became the Moderate Party 1961-1965. His grandson is Social Democratic politician Sten Heckscher. In Heckscher’s work as an economist the tension between the political and scholarly sides emerges clearly. In his academic work he never relinquished the politico-ideological starting point, and in his political attitudes the scholarly dimension was always present. Land or building sites of various kinds, water power, mineral deposits, etc., have a value or command a price, and in many cases a very high price. The question, however, is not whether the natural resources should command a price, but whether this price should create an income for their owners, and there is all the difference in the world between these two questions. … The interest on capital is not only a necessary price but is also required as an income, because otherwise saving would be very much reduced, but nothing similar applies to the income derived from natural resources, ground rent or whatever you will call it. In other words: Saving is a result of endeavor, of conscious human acting; but land, mineral deposits, water power, etc., are not in any sense the result of human activity. If interest on capital disappears saving will, to a more or less degree, stop; but if the rent attaching to natural resources is withheld from their owners, not a single acre of land, or ton of ore, or horsepower in a waterfall, will cease to exist. Therefore, the price of natural resources as an income for their owners can never become part in a "harmonious" economic system however much some of the less discerning and less distinguished inheritors of the liberal political economy have tried to prove it. … It therefore seems to me that it is impossible for a new economic liberalism to reject in principle the idea of the community appropriating the rent of natural resources (Heckscher, 1921). It is a belief sometimes met with even amongst politically educated liberals, that Georgeism more or less coincides with socialism. No mistake could be greater. Far from coinciding with socialism, Georgeism is the most pronounced old-school liberalism which now exists. It is even scarcely an exaggeration to say that the social view represented by Georgeism is that the State should collect the economic rent, but not be further concerned with economic or social life. … The appropriation of the ground rent is often proposed to take the form of land value or ground rent taxation. … Its possibilities and limitations would necessitate an extensive discussion which does not belong here. What concerns us here is only the point of principle that this programme must form part of the new economic liberalism, which cannot fulfill its mission or live up to its teaching without it (Ibid.). Hecksher's work in both economic theory and economic history is notable for combining theoretical insights with a profound knowledge of economic history and the history of economic thought. It is, therefore, typical that leading international economists were always assessing the importance of Heckscher's work and its relevance to the contemporary practice of economic history. A few years before Heckscher’s death, Svend Laursen and his wife prepared a translation from the Swedish of Heckscher’s article (Hecksher, 1919) for the 1949 Readings in the Theory of International Trade, edited by Howard Ellis and Lloyd Metzler. This article received a revised translation in the book, Heckscher-Ohlin Trade Theory, edited by Harry Flam and M. June Flanders (1991). Although the primary objective of this latter work was to provide a translation, for the first time, of Bertil Ohlin’s 1924 dissertation, The Theory of Trade (Handelns Teori), it also served to confirm the importance of Heckscher’s pioneering article, written years previously. It is perhaps ironic that, as almost the entire academic career of Eli Heckscher was concerned with issues of economic history, this single article on international trade theory was sufficient to award him the lead position in the “hyphen trophy” of the title "Heckscher-Ohlin Trade Theory" (Ronald, 1956). The Heckscher-Ohlin theory explains why countries trade goods and services with each other. One condition for trade between two countries is that the countries differ with respect to the availability of the factors of production. They differ if one country, for example, has many machines (capital) but few workers, while another country has a lot of workers but few machines. According to the Heckscher-Ohlin (H-O) theory, a country specializes in the production of goods that it is particularly suited to produce. Countries in which capital is abundant and workers are few, therefore, specialize in production of goods that, in particular, require capital. Specialization in production and trade between countries generates, according to this theory, a higher standard of living for all the countries involved. The original model contained two countries, and had two commodities that could be produced. Since there are two (homogeneous) factors of production, this model is sometimes called the "2×2×2 model." The original H-O model assumed that the only difference between countries was the relative abundance of labor and capital. The model has variable factor proportions between countries: Highly developed countries have a comparatively high ratio of capital to labor in relation to developing countries. This makes the developed country capital-abundant relative to the developing nation, and the developing nation labor-abundant in relation to the developed country. The critical assumption of the Heckscher-Ohlin model is that the two countries are identical, except for the difference in resource endowments. This also implies that the aggregate preferences are the same. The relative abundance in capital will cause the capital-abundant country to produce the capital-intensive goods more cheaply than the labor-abundant country and vice versa. The price of labor-intensive goods in the labor-abundant country will be bid down relative to the price of the same item in the other country. The labor-abundant country will export the labor-intensive goods. This Heckscher-Ohlin theorem is one of the four critical theorems of the Heckscher-Ohlin model. As an example, imagine two countries, A and B, that each produce both jeans and cell phones. Although both countries use the same production technologies, one has a lot of capital but a limited number of workers, while the other country has little capital but lots of workers. The country that has a lot of capital but few workers can produce many cell phones but few pairs of jeans because cell phones are capital-intensive and jeans are labor-intensive. The country with many workers but little capital, on the other hand, can produce many pairs of jeans but few cell phones. According to the Heckscher-Ohlin theory, trade makes it possible for each country to specialize. Each country exports the product the country is most suited to produce in exchange for products it is less suited to produce. Therefore, the country that has a lot of capital specializes in the production of cell phones, whereas the country that has more labor specializes in the production of jeans. In the first case, country A has, at the time being, more capital than labor. Therefore it has specialized in producing more cell phones. Country B—having more labor than capital—has specialized in producing more jeans. In this case, trade may benefit both countries just as the Heckscher-Ohlin theory surmised. Heckscher's 1919 article originated the Heckscher-Ohlin theory of international trade. In 1928, Heckscher made another major contribution to economics in a German-language article on "intermittently free goods," presenting "a theory of imperfect competition nine years ahead of that by Joan Robinson and Edward Chamberlin, and a discussion of collective goods not priced by the market." Furthermore, his discussion of the effect of tariff protection on the distribution of income foreshadows the later classical account provided by Stolper and Samuelson (1941), while his remarks on the international mobility of factors stimulated by a protective tariff can be said to anticipate some of Mundell (1957). A paper summarizing the salient ideas of Heckscher's article and evaluating its merits, originality, and significance for the history of economic thought—and how it fits into the "revolutionary" developments of the theory of imperfect competition in the 1930s—was presented by Andrea Maneschi (Maneschi 2004). Wilfred Ethier arranged the main substantive contributions of Heckscher-Ohlin theory into four sub-categories. Two of these, namely the Heckscher-Ohlin theorem about the nature of trade—arguing that with technologies assumed the same everywhere trade patterns reflected differences in relative factor endowments—and the Factor-Price Equalization Theorem—positing that free trade in commodities could bring about an absolute equalization of wage rates and other factor returns even without any international mobility of the factors of production—were spelled out rather clearly in Heckscher’s original treatment. The Ricardian model of comparative advantage has trade ultimately motivated by differences in labor productivity using different technologies. Heckscher and Ohlin did not require production technology to vary between countries, so (in the interests of simplicity) the H-O model has identical production technology everywhere. Ricardo considered a single factor of production (labor) and would not have been able to produce comparative advantage without technological differences between countries (all nations would become autarkies at various stages of development, with no reason to trade with each other). Several other economists continued the work of Heckscher and Ohlin; notably, Paul A. Samuelson, who received the Nobel Prize in Economics 1970. Bertil Ohlin had informally argued that international trade would tend to equalize factor prices across countries. In other words, trade between India (with a lot of labor) and the United States (with a lot of capital) would, for example, narrow the wage differences between the two countries. Samuelson was able to show mathematically that initial wage differences between countries disappear because of trade in the Heckscher-Ohlin model (if the assumptions of the model are fulfilled). This result is called the Factor Price Equalization Theorem. Wassily Leontief (Nobel Prize in Economics in 1974) showed why the United State's (U.S.) exports do not reflect a factor of production very abundant in the U.S.—capital. Even though the U.S. has more capital than most nations, most of its exports were of goods requiring a lot of labor and its imports were mostly goods requiring capital. This is the opposite of the outcome that one would at first expect from the Heckscher-Ohlin theory. However, Leontief's explanation was that the workers in the U.S. have a lot of knowledge. In other words, the U.S. exports the goods that require a production factor that the U.S. is particularly well-endowed with, namely knowledge. Thus, Leontief's explanation was consistent with the Heckscher-Ohlin theory. Heckscher-Ohlin theory can best be seen (and more easily understood) in the context in which many commodities can technically be produced. The reason for this is that with trade, a country can be highly specialized, even to the extent of producing only a single commodity. Thus, the interesting question can be raised: With trade, what commodities does a country produce? This is Ricardian in its tone. If world prices are not necessarily reflected in a country’s own technology, the country need not produce more commodities than it has productive factors, and may produce an even smaller number. Thus, if there are more commodities than three, there is much room for production patterns to differ among countries and for their factor returns to be different even with commodity trade. The stage is set for a discussion of international mobility of productive factors, and Heckscher was very much involved with discussions of Swedish emigration. This is a setting in which Heckscher’s unique and great role in trade theory can well blend in with his voluminous published work on economic history. 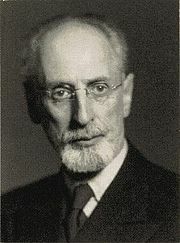 Eli Heckscher, although some considered him being a “leftist” (actually rather a social democrat is better term), played a leading role in the economic policy debate as one of the most incisive figures among opponents of the economic planning advocated by Myrdal, Wigforss, and other leading social democrats. One of his crucial arguments in the debate was that “scholars are free because they have access to a free market, they can publish books, they can write in the newspapers, they can make their voices heard generally in the national life, because the means of production are free” (Röster i Radio 1945, no 28, 36). In his view, state ownership or direction of the means of production would end up with standardization of opinion and intellectual dictatorship. In this respect Heckscher followed the same line as F.A. Hayek. That which applies to all honest study: To use your intelligence, to be receptive to all enlightenment but not to take anything for granted beforehand, whether your own previously-formed opinions or statements made by those who are regarded, or want to be regarded, as authorities, whether in theory or practice (Heckscher and Knoellinger, 1945). The keystone to Heckscher’s professional outlook, however, was the conviction that an economic system based on individual property rights and competition would foster high growth, and that, in the long run, growth was crucial to the development of prosperity. Heckscher, Eli. 1904. "Ekonomisk historia: nagra antydningar." In Historisk Tidskrift. Heckscher, Eli. 1919. "The Effect of Foreign Trade on the Distribution of Income." In Ekonomisk Tidskrift. p. 497-512. Heckscher, Eli. 1921. Gammal och ny ekonomisk liberalism (Old and New Liberalism). Stockholm. Heckscher, Eli. 1929. "A Plea for a Theory in Economic History." In Econ. Jour. Heckscher, Eli. 1930. "Monetary History from 1914 to 1925." In Sweden, Norway, Denmark and Iceland in the World War. Heckscher, Eli. 1931. Mercantilism. (two volumes) Stockholm. Heckscher, Eli. 1936. Det privata näringslivet i tvångshushållningens tid. Stockholm. Heckscher, Eli. 1944. "Erfarenheter av ekonomi och ekonomisk politik under fyrtio år" in Ekonomen. Heckscher, Eli & C. E. Knoellinger. 1945. "De ekonomiska studierna och deras hjälpmedel" in Norstedt och söner. Stockholm. Ellis, Howard S. and Lloyd A. Metzler. 1949. Readings in the Theory of International Trade. The Blakiston Company. Henriksson, R.G.H. 1979. "Eli F. Heckscher och svensk nationalekonomi." In Ekonomisk Debatt. Jones, Ronald W. 1956. "Factor Proportions and the Heckscher-Ohlin Theorem." In Review of Economic Studies. Maneschi, A. 2004. "Eli Heckscher on intermittently free goods; A neglected anticipation of the theory of imperfect competition." In European Journal of History of Economic Thoughts. 11 (4): 607-621. Mundell, Robert A. 1957. "International Trade and Factor Mobility." In American Economic Review. 47: 321-35. Stolper, Wolfgang and Paul A. Samuelson. 1941. "Protection and Real Wages." In Review of Economic Studies. 9: 58-73. This page was last modified on 16 December 2008, at 23:07.